Where do you find the stories you produce and tour? We work closely with artists to identify and shape the stories they want to tell. Typically, these are traditional oral stories, passed down through word of mouth over hundreds of years. Often, these stories have found their way into print, either through a process of folklore collection, or through a mix of folklore collection and creative origination, such as Fedowsi’s authorship of The Shahnameh and Lonrot’s editing of Kalevala. These stories can languish on the shelf as a printed book, hard for the casual reader to unravel, which is why we’re passionate about making them alive. Our artists re-translate these stories into a dynamic and imaginative oral form, and the process of releasing them to the ears of many contemporary listeners subtly explores what these stories tell us today. The process is never quite the same twice and through this we learn more about the stories and about ourselves. Do you always work with stories and music? In many traditions, music and stories go together naturally. They are often found together, in ballad songs, or the runo-songs of Finland, for example. Audiences tell us they really enjoy the combination of stories and music. There are plenty of ways to access music on its own, and stories told without music – we really like hearing both together. How do you select the shows you tour? and talk about future projects with the artists whose work inspires us. We also talk to our venue partners about the work which excites them and we think together about which stories are crying out to be told! We listen to audience feedback from all our projects and shows. All our collaborations start with a conversation. There are often many stages of discussion and fundraising before projects are fully realised. I’d like to book an artist to run a workshop, or develop a project – could we talk through ideas? Of course! We can match-make artists and partners for workshops, work on longer-term projects, and are always happy to talk through ideas, so do get in touch. How much does it cost to book an Adverse Camber show? We always do our best to offer work priced affordably to promoters working at different scales. We also reflect the skills of the artists, the quality of our company support and investment to arrive at a suitable price. Find out more in our Promoter section. I’m an artist and I’d like you to tour my work – what should I do? There are many more shows and artists we’d like to support, given unlimited time and resources, but unfortunately we have to be selective about the work we produce and tour. Do tell us about your ideas and keep us up to date with your work, especially if you’re looking to take an ambitious new step, or your voice isn’t reflected in the creative work which is already out there. Get in touch by email or come and say hello at a show. How do you work on shows? We talk to the artists in depth and make a plan with them as to what they want to explore through a creative development process. We draw a creative team around each piece, sometimes seeking out new directors, designers or other artistic experts to work on the piece with the artists, sometimes working with people they already know. 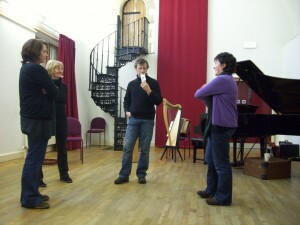 We always work with experienced Directors, who are skilled in working through conversation and reflection with artists. 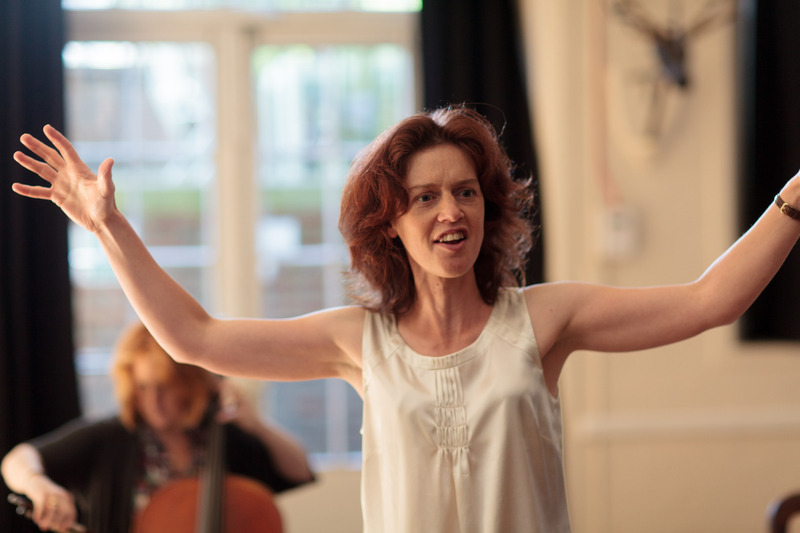 The Director leads the creative development process, provoking and providing artistic support in equal measure. Together, we explore how to create the best possible context for audiences to engage with the work and all that it involves. Each project is slightly different, depending on the team, partners, interests and potential. And we always have to raise funds for those processes before they come about, so it can all take some time. Our support doesn’t stop when the show is ready to be performed, we work hard with venues and marketing teams in the lead up to tours and we go on tour with the artists and technicians, to meet audiences and discover their responses to the show. Why is the company called Adverse Camber? The company name is inspired by the road sign ‘Adverse Camber’ which describes a bend where the ‘tilt’ is different and potentially more dangerous than usual. It flags up that something different is about to happen than what you expect. We are excited to take artistic risks to forge new ground and invite audiences and partners to embrace the risks and rewards with us!